Sitting across Mahdi al-Harati in the hotel lobby it is difficult to see why anyone would want this quiet Libyan dead. His insulin rests on the low table alongside his sugarless coffee and with him is his over-protective doctor and friend. But you need to look closer, there is his trademark military cap worn even inside the lobby, accompanied by wrap round shades; the sort you see spec-ops wear in the Homs desert. His sleeves are rolled up and a hardy watch is attached. There is also the matter of his khaki trousers and his boots un-naturally polished; he is like a retired colonel unable to let go of old habits. These were signposts that hinted at some other person that resided within the recesses of this gentle Libyan. Should that person within awaken from his slumber, I suspect Harati would stop worrying about the plumber turning up to his flat and he’d scarper off across Iraq, Gaza, Egypt, Libya and Syria like some mad Super Mario chasing that illusive world promised by the Arab Spring. In that mode Harati is a force multiplier; he fights, unseats dictators, conquers cities and sets up fighting battalions. To the powers that be he is chaos personified. And as such the Saudis have designated him a terrorist, the likes of Assad, Hezbollah, pro-Gaddafi factions and Gulf monarchs prefer him martyred than lounging around with me in a hotel in Valetta, Malta. Some though believe that no one wants to kill him at all, this is just an old has-been charging at windmills and actively myth-making like a Libyan version of Giuseppe Garibaldi. It is hard to discern whether he is fully aware of what he is doing; like the Italian nationalist, he has an air of naivety. The man sends you emojis in the morning with a cute school girl saying ‘yes Sir!’ and yet Malta Today reported that following his involvement in a knife attack, Harati requested that his name be omitted in court ‘due to expected repercussions in Tripoli’. And yet whilst he is conscious of the media he’s not firing off tweets, Facebook posts and so on, nor does he give interviews to just anyone. He granted me one on a personal recommendation. Interviewing Harati was probably similar to the uncomfortable feeling that the journalist Spencer Ackerman had with General David Petraeus: there’s an element of Stockholm syndrome. I went in with the intention of not being complicit in perpetuating a myth. But it felt like a perverse encounter between Ulysses and a Siren who doesn’t sing and looks like a roughneck. Harati makes you party to an intimacy, the fraternal kisses on the cheek, the coffee served by his own hand, the phone call to make sure you got back to the hotel and the feeling that he would lay his life down for you. It is disarming. In his behaviour you will find all the qualities you read about in the books of Arab literature on the quintessential Arab aristocrat, and what is worse he does it effortlessly with out any affectation. Cynical Western journalists might write him off, his opponents too for that matter and yet there is something of the Garibaldi in Harati. For did Garibaldi not fight with the red shirts in South America, invade Sicily, hold off Napoleonic France in Rome for three months -strike a pose- and then retire to his island with a sack of potatoes? Except of course that Garibaldi lived in an age where the heroic tradition was still alive and that he had the stage to perform his heroics. Harati doesn’t make sense to us because we have more or less discarded that tradition. But to many Arabs and Libyans the likes of Harati make perfect sense. And so what seems to Westerners as a self-serving commander charging at imaginary windmills full of bombast is not viewed in the same way on the Maltese corniche. Accompany him down the promenade, his compatriots invite him for a sit down and coffee, a shake of the hand here, a touch of the breast there. In these men, the heroics of their Islamic and Libyan past are still alive. This is why many stand up in homage and respect when Harati walks past. And this is one of the reasons he could achieve his feats, because there are men who live the epic heroic poem in this day an age. Harati like Garibaldi, is from an illustrious house, he is of the Ashrāf and he knows it judging by the fact that he often refers to himself in the third person. Ashrāf are families linked to the history of Islam who brought or perpetuated the faith, at its apex were the descendants of the Prophet. In the past, these noble families were like the Medicis and the Borgias without their murderous instincts, they were expected to lead in both the worldly as well as the religious sphere, they had social responsibilities, possessed refined manners and were patrons of the art. These families despite taking a buffering from modernity, still play an important role in the dynamics of the Middle East and it is interesting that many Libyans ascribe to Gaddafi a poor lineage; from being of rough beduin stock to a son of a gypsy to having a whoring Italian father. The term Ibn al-Halāl, the son of a virtuous woman, still rings true in Arab culture. So the echoes of this responsibility is still felt today amongst some Ashrāf families; Harati took on this responsibility because his family took it seriously. In fact, they opposed Gaddafi; in 1981 his uncle Mohammed alongside seventeen other members of his family ended up in the Libyan equivalent of the Bastille, the notorious Abu Salim prison described so evocatively by Hisham Matar’sThe Return. Harati himself had to flee to dusty Cairo with his siblings and mother when Gaddafi threatened another cull in 1989. At fourteen, he tried to enrol into al-Azhar, one of the Muslim world’s oldest religious seminaries, but the Egyptian security services, working in tandem with the Libyans, bundled him into a van. He spent roughly five of his teenage years humiliated, screamed at, beaten and moved from one prison to another often with sacking over his head. The victors were those whose spirits were unbroken. And yet somehow, he used that time to memorise the entire Quran, that again raises him in the eyes of Libyans and Muslims. To be a Hāfiz, a memoriser of Quran, made him special in the eyes of God and in turn Muslims, and he would most certainly be pushed forward to lead the congregation in prayer, and have a duty to teach others Tajweed, the art of Quranic recitation, and be an example to the Muslim community. Harati is taciturn about how he managed to escape Egypt but he reached Dublin in 1996. Apart from the gloomy weather, he loved Ireland because he could be whoever he wanted. There was no need to worry about that rap on the door in the middle of the night. He married, became a father, his heart hardened by the cruelties of prison were softened by the sound of his children. But Harati never forgot those hard years and continued to agitate and cultivate his relationships within the Libyan diaspora. And whilst he was not affiliated to any political party, he was an Islamist through and through. If Garibaldi’s political outlook was tempered by Mazzini in Geneva, Harati’s political outlook was tempered by the political tradition of the Irish; without doubt one of history’s great underdogs with the soul of poets. But that does not explain how Harati went from teaching Quran in Firhouse to becoming the leader of one Libya’s most powerful battalions and then go on to set up one of Syria’s earliest brigades Liwā al-Ummah. It is difficult to even picture Harati barking orders or raising his voice. Harati explains it thus: he learnt all about the importance of organisation, military uniforms, badges, cleanliness and discipline from administering this little school in Firhouse, Ireland. And yet his opponents are sceptical, this is romanticism. In our age can Harati’s rise simply be explained by his administrative skill however superb, charisma and distinguished lineage? He must have had outside support that cultivated his talents; all number of foreign patrons are bandied about: Qatar, CIA, the Muslim Brotherhood and others. Perhaps circumstances thrust itself onto Harati the way it thrust itself on Toussaint Louverture, the black plantation owner turned general in the Haitian revolution of the 19th century? Harati is a great believer in Destiny; that he at one moment in the Middle East’s history was the instrument of God’s will. Now that sounds fantastic to Westerners who have long discarded God but to Libyans, Arabs and indeed many Muslims, that resonates, as the Prophet Muhammed says not even a leaf falls except that God has allowed it. But few realise that Harati has combat experience in Iraq and was fighting the Americans well before Abu Mus’ab al-Zarqawi came on to the scene. This to his followers isn’t coincidence, but the Hand of God preparing him for his future. After demonstrating against the invasion of Iraq alongside fifteen thousand Irishmen on the streets of Dublin, he publicly announced his intention of standing with the Iraqis. In 2003, he flew into Damascus and found himself on the hot white marble floors of the Ummayyad Mosque. Syrians lined up to register for the ‘jihād’ and were herded into busses by men with Baathist mustachios, shades and tattoos of Assad. His convoy made it to Baghdad’s military barracks where he prepared for the US invasion. He didn’t need lessons in wielding a Kalashnikov he had learnt that in Libyan schools; not just ISIS taught its pupils how to use one. And yet, the irony of fighting on behalf of Saddam Hussein didn’t escape him: here he was, someone who had suffered at the hands of a tyrant, preparing to defend another tyrant. “People” he says in justification, “were telling me that Saddam had changed over the last years”. And Harati gives him grudging respect because he took on the Americans and died defiant till the very end. Morale melted away with Apaches on the horizon and Abrams tanks spewing shells and diesel smoke. After a month, those chants of ‘God is most great’ and oaths swearing ever-lasting loyalty to Saddam quietened and Kalashnikovs were abandoned. He recalls trying to fend off the Americans in one of Baghdad’s entry points whilst his comrades-in-arms scattered and told him to make a run for it. But where to? He was stranded. “Keep your mouth shut” Iraqis warned him, sectarian militias roamed the streets and would take him for an insurgent. He travelled through the Iraqi desert sometimes on foot, sometimes by car until he reached Jordan where he was repatriated by the Irish embassy. He returned defeated but that too had its lessons; he learnt how to cope with the intensity of war and realised that the legitimacy of any government lay in the streets. 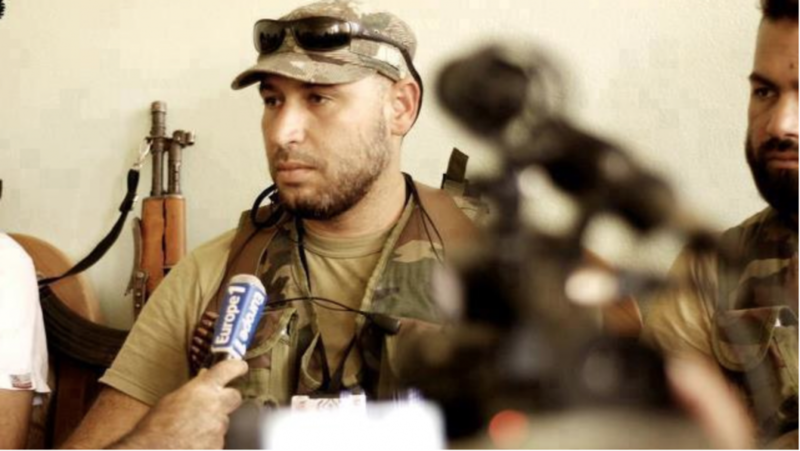 Post-Iraq Harati saw his stature increase and his continued political activism in real terms were growing, so much so that the Libyan security services tried to kidnap him again in 2007. In 2010 his credentials grew more in the eyes of his Libyan compatriots, Harati was on the Freedom Flotilla trying to break the Israeli blockade of Gaza. He was injured whilst Israeli commandos attempted to board the ship. He ended up in an Istanbul hospital bed courted by all those in search of a photo opportunity. President Erdogan, a man Harati admires, paid a bedside visit and so too surprisingly, did the Libyan ambassador, Mr. Ahmed Qaddaf al-Dam. The latter made him an offer that few men would refuse. According to Harati, he had become a hero for the Palestinian cause and the Libyan regime who had always made a great show of defending Palestinian rights, wanted to co-opt him and use him as a propaganda tool. The ambassador offered him amnesty and an absurd amount of money on condition that he return and reconcile with the regime. Harati makes the moment one of high drama, “I swear to God I will only return when I land in Libya to overthrow your government.” That as he tells it, came to pass. When Bouazizi, a Tunisian vendor, set himself alight the stage was set, except of course Harati had a slipped disc and was watching the news from a hospital ward in Ireland. Indolence makes him ill. As the Ben Ali clan fled to Saudi Arabia with his country’s gold ingots, the revolutionary fever spread to Tahrir Square, Egypt. “Perhaps” said Harati, “Libya would be next”. It was here that his fellow Libyans started to gather around the Sheikh looking to him for guidance. It was the most natural thing to do. So many men turned up that the doctors restricted visiting hours. He threw his crutches away and headed towards the Egyptian embassy railing against the Mubarak regime on his loud speaker. He says that Tahrir square itself heard his speech, he is after all half Egyptian on his mother’s side. Meanwhile in Benghazi and Tripoli family members were disappearing and choppers were strafing his friends. He believed the dictator would only go through force of arms. In fact, Housam Najjair too confirms that Harati spotted it first. As the Arab proverb goes ‘he who wants the rose must put his hands through the thorns’. And so like many Libyans from Dublin, London and Manchester, Harati flew to neighbouring Tunisia where he was respectfully denied entry; despite the Jasmine Revolution the Tunisians had inherited a functioning state that still considered him Persona Non Grata. Cairo too would refuse him entry. In the end it was a Sudanese Imam and an Afghan veteran who petitioned the Sudanese government to grant him a visa to get to Libya. He flew into Omdurman and was given a state reception complete with red carpet, several civil servants, military and intelligence officers. Harati was puzzled, all he wanted was to reach Kufra; instead he was having high level talks with Sudanese intelligence officers. “No of course not!” Harati understood there and then that the Sudanese viewed him as a potential partner. The downfall of Gaddafi would mean an end to their own political troubles. “Do you know where his address is? At dawn, they saw the lights flashing in the distance. Harati joined his contact and they drove to Kufra. When Harati entered the town there was a standoff between between rebel and regime supporters, fortunately for him, Kufra was a one tribe town and did not kill its own kinsmen easily, whether he be a rebel or regime supporter. Abdel Salaam did not know of Harati’s coming. “I have come to join the rebels” explained Harati. Abdel Salaam drove him to the rebel base and Harati stayed there for nine days. From there, he travelled to Ajdabiya where he claims Providence again intervened, for he turned up at a three storey family home which unbeknownst to him belonged to family friends he knew in Ireland. That house became one of his headquarters when they attacked Brega. 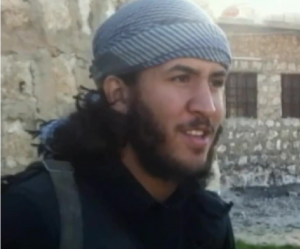 Ibrahim al-Mazwagi a British foreign fighter who fought in Libya and died fighting in Syria. What was more he kept his tactics simple which was important in controlling the anarchic citizen militia. Initially, he set up and trained a battalion in a school in Benghazi but as the battle moved towards Tripoli, Harati began to think about how he could cut the distance between himself and the capital. So relying no doubt on his family credentials, he approached the Berber Sheikhs of Zintan and negotiated a deal where he was allowed to move his battalion to the Nafusa mountains. Thereby shortening the distance between him and Tripoli and attracting young eager Tripolitanians like the eighteen year old Ibrahim al-Mazwagi and other British Libyans to his camp. So perhaps it wasn’t as disciplined as Harati remembers it, but still the rules of war was set down, non-combatants, prisoners were to be treated well, and all this according to his faith. Whilst he did not meddle in the affairs of the Berber leadership, he did not allow himself to be under the orders of NATO. As Harati closed in on Tripoli, one journalist told me, he had to be “accommodated”. Mustafa Abdul Jalil and Abdelhakim Belhadj, the founder of the Libyan Islamic Fighting Group, asked Harati if he could be under their authority. It was clear from Harati’s smile that he didn’t like the idea of being associated with Belhadj or being under him for that matter. He was well aware of his own capabilities and should have been his equal. Harati made it clear that he had met him briefly and did not share his political outlook nor his alleged links to al-Qaeda. The fact that NATO gave its blessing to that arrangement was curious given its hostility to the likes of Belhadj. That being said, unity had been achieved to all outward appearances and Harati expected to go straight to Tripoli. Harati claims to have planned the conquest of Tripoli meticulously for months in advance. His men were already on the outskirts of Tripoli when Mustafa Abdul Jalil radioed ordering him not to enter the capital. Harati didn’t want to wait for the rest of the forces, “we need to go in now” he said. Time was of the essence. He claims that the National Transitional Council chairman, Abdul Jalil, threatened him with NATO air strikes if he proceeded any further. He shook his head as he recounted it, he didn’t have time for glory hunters. This was a moment of action, not diplomacy. He told Abdul Jalil that he would speak to his men and get back to him. Meanwhile Harati sent his satellite comms away to the mountains in case the Americans decided to have an ‘accident’ and discharge some hellfire missiles on his person. Then he gave the order to take the rest of the city; resistance crumbled. He only radioed Abdul Jalil once the city had fallen. One can only imagine Abdul Jalil’s reaction at that moment. Harati’s unilateral actions had made him the conqueror of Tripoli, a folk hero, but he had also created powerful enemies. Now that power had been restored to the people, Harati like some sort of Cincinnati, put his weapon down and returned to Dublin in 2011. Back in Ireland Harati fell ill again, most likely suffering from inactivity. In bed, he watched a Syrian apocalypse unfold. He got out of bed and flew to Turkey and sneaked into Syria, Jebel Zawiya, on a fact-finding mission. There he met Jamal Maarouf, a smuggler and soon to be a disgraced corrupt rebel leader, the late Abu Abdullah, the founder of Ahrār al-Shām and others. According to Harati, the Syrian rebels welcomed him as a brother, but the regime also knew that he was there and made a concerted effort to capture him. It was the presence of the likes of him that gave Assad the excuse to cite foreign elements destabilising Syria. Harati’s face changed as he remembered how they were surrounded; an Imam they had visited only days ago had his head stuck on a pole, Vlad the Impaler style. Harati was in his element; he operated best when the conflict was simple, one of Light against Darkness, Good against Evil. He phoned his wife and told her that the Syrians needed him and that he would probably not return. Using his tried and tested formula he set up Liwā al-Ummah, a battalion based in Marrat Numan, it believed that Jihād, the right to defend oneself against a tyrant, was a religious duty. He infused it with organisation, badges, uniforms, drills and as a sign of his awareness of social media gave them a media wing too. And so there we have him on Youtube in full military gear striking that pose, Osprey body armour, revolver, wearing that trademark cap he still wore in our interviews, reciting Quran and exhorting his men before going into battle. This may appear to the Western journalist as bombast, but incorporate his past, his religious learning and of course his military experience and sprinkle it with Quranic verses and you have the beginnings of a mythical hero in the eyes of his supporters. His eyes sparkles as he talks about how he planned lightning fast smash and grab operations against regime bases such as Taftanaz airport in 2012. Certainly, analysts like Aron Zelin believe that Liwā al-Ummah acted as a force multiplier rather than actually leading the conflict. But then Harati didn’t want to lead, in fact he dismisses the commonly assumed accusation that he filled his battalion with Libyans; there were only thirteen Libyans at the most, and the rest were Syrians. In his view the revolution would only be successful if Syrians took ownership of it. Harati claims to have brought Col. Riad al-Assad out of the Turkish refugee camps and back on to the battle field in an effort to unify the ranks. Col. Assad would be a symbol of the revolution, to lead the FSA and he pressed on Ahrār al-Shām, a major Islamist battalion, to work with them, reminding rebel leaders that it was the Syrian people who had given them legitimacy not the other way round. In the early days you didn’t need three months ideological indoctrination to participate in the revolution, the enemy was clear: Assad, that was enough to give the rebels legitimacy. He kept on saying it even when, for the first time, al-Qaeda sent people to find out about him. But in the end no one listened. Perhaps he was too independent, perhaps as he claims, there was “no end goal that you are working towards” and the leaders fell under the sway of foreign powers and started to keep him out of important decisions. In Post-Gaddafi Libya it is easier to be a militia commander, ‘a protector of the Revolution’, riding round in a Pickup with a mounted Doschka and Kalashnikov rather than donning the suit and engaging in the politics of state. And it was in civil society where the military hero Harati clashed with the reality of running a state. When Harati returned to Tripoli in late 2012, he was buoyed by his reputation, he stood as an independent candidate for the Tripoli mayoralty and won in the summer of 2014. But unlike his career as a military commander Harati’s career as a mayor lasted only a year. His assessment; he introduced an Irishman’s efficiency to the administration. “Before,” he beams, “the Libyan government would break diplomatic protocol and visit the US embassy where they would have to be searched.” Now “they must come to us and be searched and obey the rules,” he went as far as to apply EU directives on his administration introducing a no smoking policy in government buildings. How successful that policy was is difficult to assess considering that he failed to apply the no smoking policy on his own Tripoli brigade. Others question why he only lasted a year if he was so brilliant? Harati blames Machiavellian treachery. Whilst on a trip abroad, his political enemies schemed to get his cabinet to give him a vote of no confidence. Multiple accusations abound about him during this period, he was accused of being Qatar’s man or CIA’s man. When you ask him about the story of the CIA money found in his house in Ireland, he shrugs it off as a made up tabloid story. “It was a thief who told that story.” He said it with such finality that I was almost ashamed to probe further. His enemies accused him of corruption but nothing to this day, has stuck. Perhaps the fact that all sides accuse him of being in the other man’s pockets implies that Harati might actually be his own man and had paid the price for having no political allies. Fathi Warfali, a friend and a former member of the Tripoli Revolutionary Council suggests that Harati’s lack of political allies lay him open to broadsides from his enemies. His supporters believe that Harati was not allowed a chance nor a budget to implement the policies that were needed and so it wasn’t his fault that he failed. His opponents though are not as generous, some complained that as a mayor his primary concern should have been the city itself, what was he doing jet setting from one European city to another to meet with foreign dignitaries when his remit was Tripoli? Harati’s failure as mayor was probably more to do with an inability to deal with cloak and dagger politics of Libyan society. Like a Garibaldi, he was simply outmanoeuvred by seasoned politicians. The vote of no confidence resulted in his resignation and self-imposed exile in Malta. Clearly Harati pushes the idea that things are always worse after he leaves. But what seems clear though is that men in Tripoli also ask ‘what’s he up to these days?’ Perhaps, Harati failed because the mundane activity of ruling, was simply the wrong stage. On my last night in Valetta, Harati was perturbed. President Trump had made his first congressional speech. You might forgive Harati for that; the World gets perturbed every time Trump tweets. It was just one throw away line I thought-relax. If Harati is right, would that relentless nature awaken and wish to return? What if the Libyan political environment becomes primeval again: revolutionaries versus counter-revolutionaries, Light against Dark. Would he or could he return? 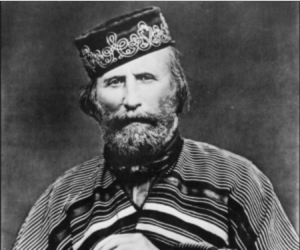 Garibaldi periodically intervened in various Italian and European adventures; would Harati? But Harati cut me short. “I was probably right for the time and maybe useful later” he said as if the age of heroes had ended. He pointed to the Afghan warlord Hekmatyar’s recent return to the peace talks in Kabul, “he was not suitable during the Afghan Jihād but now, twenty years later, he is reaching out to the Taliban to try to negotiate peace”. To Ahmed the future looked bleak but Harati is curiously optimistic: “The fear is gone.” The rough and tumble of Libyan politics is good for the people, no tyrant will ever be able to control them. And in many ways, despite the chaos, Libya has thirty TV channels, around sixty odd radio stations and three hundred print publications. That is remarkable progress, considering that half a decade ago the country was under a brutal totalitarian government. And yet, whilst the fear may be gone, Libya’s destabilisation has consequences for Europe. Libya has already become a hub for human trafficking exporting the downtrodden of the earth and given birth to wretched young men who blow themselves up in European cities just as the MoD paper predicted in 2013. Perhaps what Libya needs more than ever are statesman, and whilst Harati might suffer from myth-making tendencies he has put his gun away and subdued that relentless nature of his. Perhaps other militia commanders should do the same for the sake of their country. Ironically, history might just remember the restless Libyan for opting for the quiet life (for now at least) just like the Italian nationalist Garibaldi did, sailing off to Caprera with a sack of potatoes in hand, having unified his country. This post with the title modified, was first published in Syria Comment here.